Editing, Makeup and Cinematography... All UTTERLY CRITICAL components of the craft. It does seem a pretty bizarre move to cut those three from the telecast, whilst leaving most of the short-form films in. Of all the categories in the Oscar telecast, cinematography is the only category that literally makes movies exist. The Oscars are simply a popularity contest. The individual crafts nominate their own but then it becomes open voting for your friends. They claim "Best Cinematography" when in reality it's "Best Cinematography For A Screenplay We Also Approve Of"
I NEVER watch the Oscars, it's a waste of time. I'm not going to be lectured by multi-millionaire movie stars with no connection to reality. The Academy has announced that the Oscar for Best Cinematography (and Editing) won't be shown live but awarded during a commercial break and this was announced by John Bailey ASC! Good move though, after all it's not as if either craft is really that important in the film making process. Who watch the oscars anyways? After Marlon Brandom spitting in they faces, I don't have any respect for that award. Completely ridiculous choice anyways, I agree with the tweet of Cuarón. There are 5 key elements to a movie; script, directing, producing, cinematography and editing. Nobody says you need actors. Nobody says you need makeup or even costume design. What you do need are those 5 elements and to discard 3 of them is pathetic. If they don't change this decision, nominee's in those categories should not attend the show. All we really need to get it back into the broadcast rotation is one DoP going wild during his acceptance speech. Then the show producers look like total idiots. I second that. When i have read that today it felt like a slap into my face. Are we worth nothing? These shows are all sanctimonious anyway. I know several producers and Academy members who either fill the ballot out without watching the films or they have admitted to giving their ballots to their children to fill out however they want. To all DP's: This is NOT the end of the world. I can't count the amount of cinematographers whining about this. All I hear is egos. Sorry cinematographers are not the center of the universe. There are many people and departments that make a movie come to life and some only get their moment of fame and recognition during the Oscars. 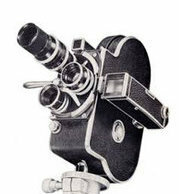 Cinematographers have camera image, asc awards and a big following of press and fans around the world. Just because cinematography nominees is not broadcasted live at the Oscars ONCE does not mean it's not an important craft. Commercial breaks… What is sad about this decision is the fact that once again we’re proving to ourself how we are slaves of a society ruled by Capitalism, and so Consumerism. It got us used to have more and more and we can’t really think of ‘a future with less’. Ours is a society which can’t change, and won’t change and maybe doesn’t want to change. And so, paradoxically, I find this decision so similar to what’s going on with the climate change. We should treat it as a crisis, but we don’t, we can’t get out of our confort zone: I agree with Tyler when he says 'If they don't change this decision, nominee's in those categories should not attend the show’. But would the nominees really boycott the Oscar ceremony to make a firm point that we really need to change something? I don’t think so: if cheap mass produced goods flow endlessly, people will buy and buy and buy. Can we imagine the global airline industry being dismantled, as an extreme fight to global warming, when hundreds of new runways are being built right now all over the world? No. As Humans, we are all so ignorant. It's reality of this world to be a slave to something. Some masters are more cruel though. Looking at history, and not being tempted by utopian dreams, distortions for sake of profit and power, I know which system I would gladly prefer to work under. The one we've got. Beware the greener field dream, the field of political dreamers. It's a field of many sad graves - a fact of history repeated over and over. However we aren't to discuss politics here. There is no utopia in this life. Only better and worse systems that aren't perfect. What scares me is the 'new' social movement that thinks we can make for ourselves a perfect society. Shiver. I feel cold thinking that they actually believe the political hype. My breathe freezes at the incipient evil. I look towards truth instead. climate change. We should treat it as a crisis<snip><snip> global warming<snip>we are all so ignorant. I see your Oscar acceptance speech is ready, shame it won't be broadcast. But don't worry, I'm sure about 30 other winners will address the same points. Lol that'a good one ! Never watched an Oscar night and won't ever watch one I guess. But sure, people love to speak a lot, then they all act the opposite. I can't see how anyone of any political background thinks it's necessary to bring up Trump in their speech anymore. Me too... I don't know anyone who takes it seriously anymore. I didnt even bother going when I was nominated .. stayed home and watched TV.. In a break with tradition, the Academy Awards in four categories will be presented during commercial breaks when the 91st Oscars are broadcast by ABC on Feb. 24. In the report I read they mentioned it would be a rotating group shown during commercial breaks, so next year it will be a different 4 categories. I know this would never go over due to the massive egos involved, but I'm not trolling. Why not just announce the winners and have them stand in place, i. e., at their seats, bring a mic over to them and allow each 15 to 20 seconds to make a statement. The "Academy," could suggest guidelines for the statement which could basically consist of A.) give a brief anecdote or shed a little more light on the winning project and B.) don't thank anyone. That way the audience could see the winner's costumes and maybe achieve a little more connection to the industry, but the show speeds up. Keep all the clips and songs. Maybe the Best Picture winner people could all come on stage like they do now anyway and the producer make a slightly longer speech.